Glass Ball of Life Wallpaper is stock photo wallpaper. 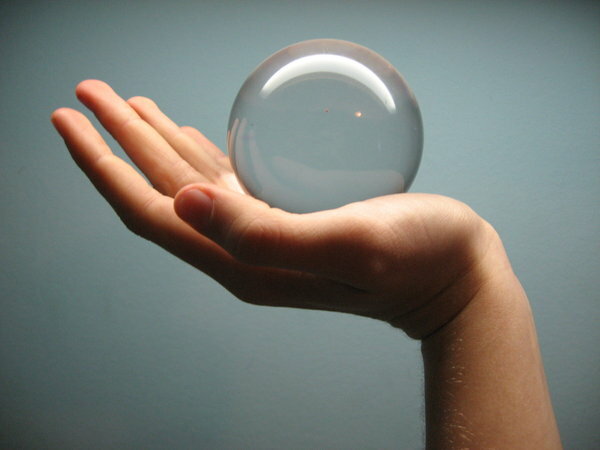 A glass ball on a person’s hand. The photograph of Glass Ball of Life Wallpaper is taken by LuckyStock. It has been featured as Daily Deviation in deviantArt ago. Many derivatives has been created using this stock – children inside the ball, a butterfly sitting on the ball and very philosophical one – the ball is shattered and blood is drooping from the hand. 2816?2112 pixels ; resize if needed. It is a JPG download, the file is 1.4 MB in size. ? Download-Glass Ball of Life Wallpaper ? This Article Has Been Shared 7318 Times! Blue Foam Wallpaper is an excellent quality Photo wallpaper of bubbles on a charming blue background and fantastic depth of field. Island and the Blue Sea Wallpaper is an excellent quality landscape photo wallpaper of a beautiful Island surrounded by the Blue Green Sea. Waterdrop and Apple Wallpaper is an excellent quality Photo wallpaper of red apple and a drop of water. ENZO Clean Wallpaper is an excellent quality digitally rendered wallpaper of huge resolution which can support up to 30 inch LCD screen. Yellow Flower on Black Background Wallpaper is an excellent quality Photo Wallpaper for Windows PC, Apple Mac and Linux PC. Cite this article as: Abhishek Ghosh, "Glass Ball of Life Wallpaper," in The Customize Windows, December 4, 2011, April 18, 2019, https://thecustomizewindows.com/2011/12/glass-ball-of-life-wallpaper-1/.